After a little blogging break.. again.. sorry.. 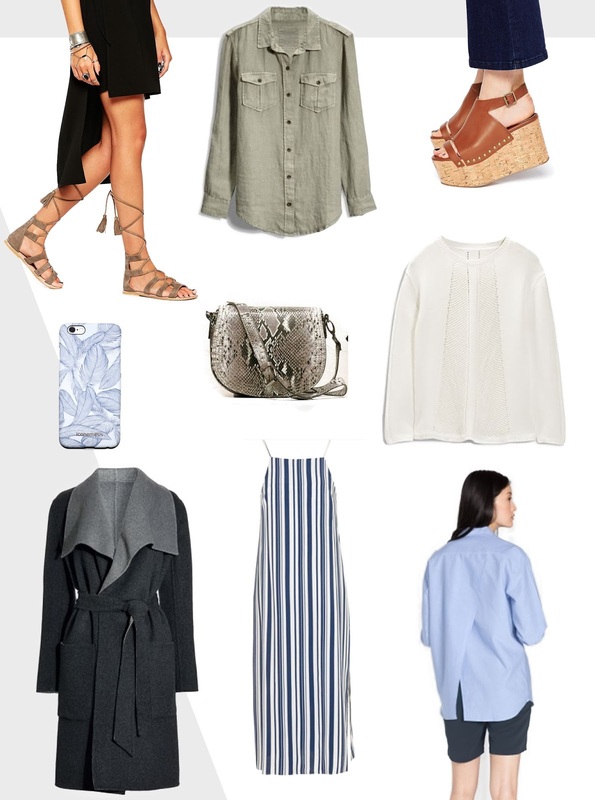 I'm back with a wishlist of some new in bits I've got my eye on. As I'm working full time and have an all black uniform I've not been able to enjoy any nice weather and I'm already thinking about coats and autumn transitional pieces. I can't help myself! Especially since I saw this Next reversible coat online- two coats for the price of one.. can't complain. I'm also all over sandals (but no open toe shoes at work *cries*) and think ASOS have got some of the best on offer at the mo! The classics with a twist are my favourite, like a blue shirt with a cross over back and midi dress with side splits, minimal but current.